I DID NOT come from affluence, but I came from a good home. Before I ever stepped onto a football field, education came first. My mother, Fonda, did a beyond-stellar job, with the help of others, to keep me focused and on track to better myself. My academic success made my football recruitment that much easier. I could choose from schools with great academic reputations such as Stanford and Duke, or athletic powerhouses such as Florida and Clemson. Wake Forest was an afterthought during my initial recruitment. I chose the University of Florida, but it was not a fit. I decided to transfer to Wake Forest after one year. The school I once snubbed became my home, providing an exceptional education on and off the field. The Wake campus was picturesque and aesthetically diverse but not diverse in all ways. Culturally, for someone like me, it offered a different dynamic. I am a child of hip-hop. I walk it. I talk it. I live it. I grew up in the city, but by no means did I grow up in the impoverished circumstances many students at academic institutions have left behind. Urban is not necessarily where you reside; it is a mentality. It does not conform and, honestly, does not care what you think about it. For the typical student, it seemed to me, money was an afterthought and attending a school as prestigious as Wake was a mere formality. For those kinds of students, successes in life appeared to be a matter of sheer effort that came with luxuries afforded due to socioeconomic status. Everyone has problems and no person’s life is devoid of struggle, but let’s face it — some people have a better hand at the table of life than others. I expected the reception but still found it surprising: though we ate at the same dining halls, chased the same education and had to battle the same battles, many fellow students viewed me and my friends almost like outsiders. I was not without guilt in this process, either. Many of my pre-conceived notions about fellow students and their backgrounds caused me to be guarded, too. I felt that reaching out to classmates was futile. My feelings stemmed from my fears and assumptions about their perceptions of me. I allowed my notions of them to cloud my judgment, which often led to awkward interactions. Everyone knows that college kids do not always exhibit sterling judgment, and we were no different. After all, what was the difference between those of us of the urban dynamic and the rowdy frat kids from the suburbs, all kicking up dust on weekends to unwind from the stress of earning a college degree? Same actions, different packaging. Today, I am a proud owner of a Wake Forest degree and jump at the chance to get back to campus anytime I can. As the first in my family to attend a major university, I have a burning desire to create a new legacy. Though it has taken 10 years, with the success of my online show (“Wes Got Range”) and working in production and as an analyst for the ACC Digital Network, I am realizing my potential. Certainly, I have my time as a Demon Deacon to thank for that. I look back and appreciate my path, and I look to the future for Wake Forest. I urge students to understand that we are all at this great university to better our lives and those of students who follow. Whether urban or suburban, impoverished or affluent, we should all take the time to understand that we are all fighting the same fight. Let our differences offer an opportunity to learn from each other so we all can truly be Pro Humanitate personified. 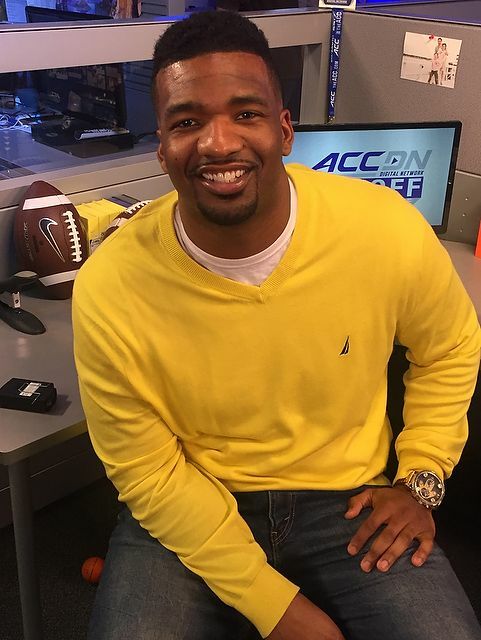 Wes Bryant (’05), a former Deacon lineman, is an on-air personality/host/production assistant for the ACC Digital Network and producer/host for the online food and sports show “Wes Got Range.” He lives in Charlotte.